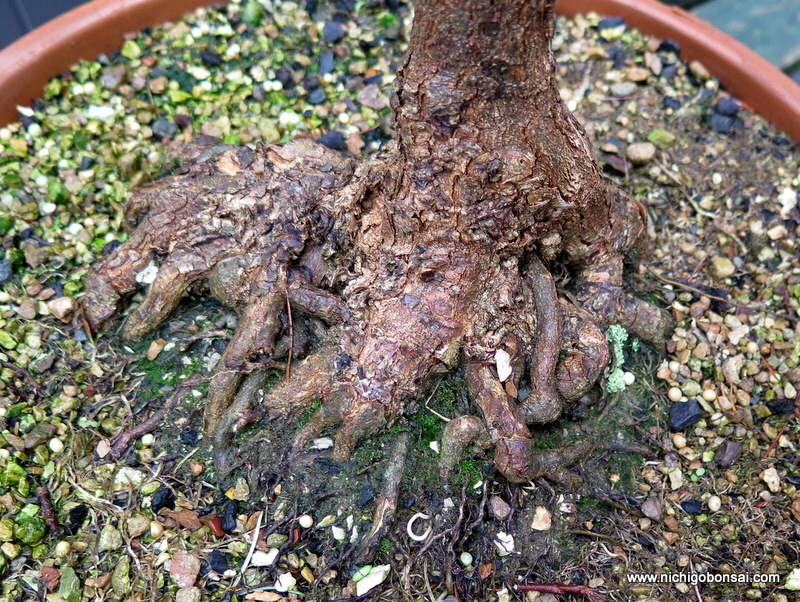 You are currently browsing the tag archive for the ‘Acer buergerianum’ tag. 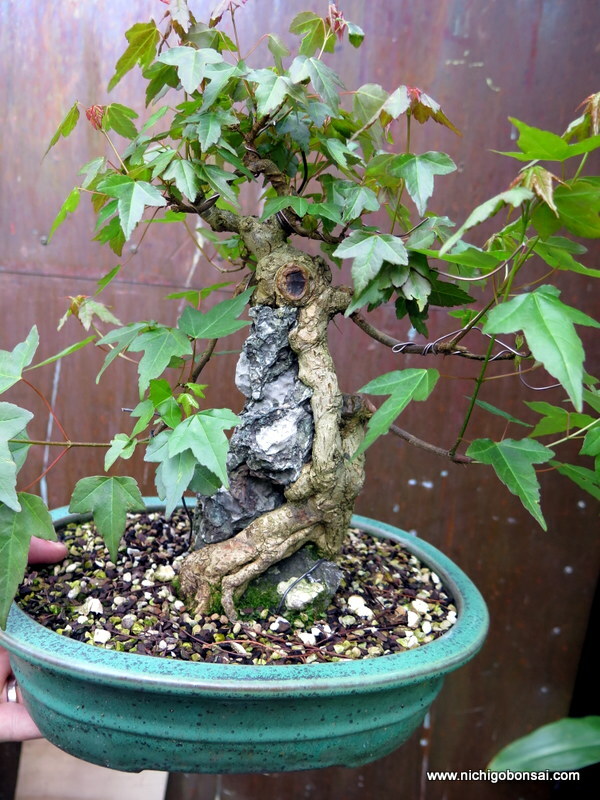 The trident maple below is this years project. 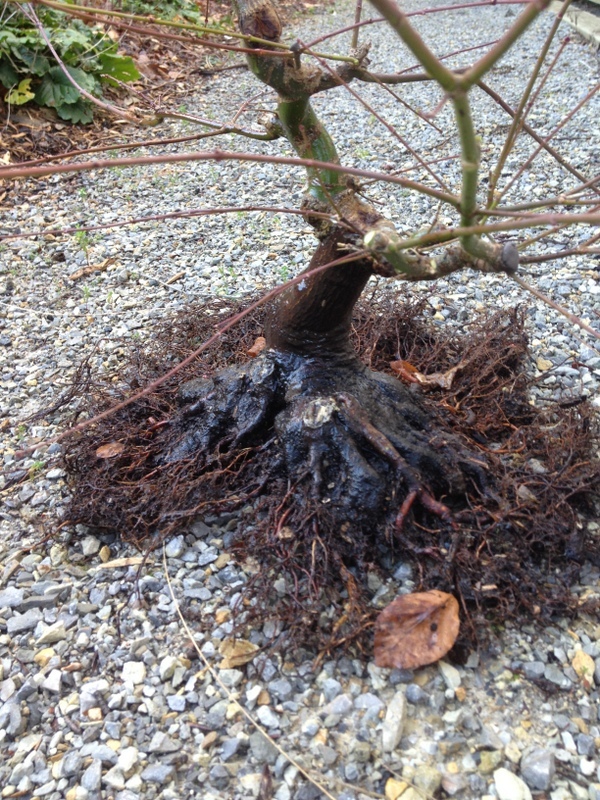 I spotted this tree in a friends garden and loved the big gnarly base. I like the base so much that I have just realised that I don’t have a picture of the whole tree, just photos of the base! After removing one root, can you see where it came from? 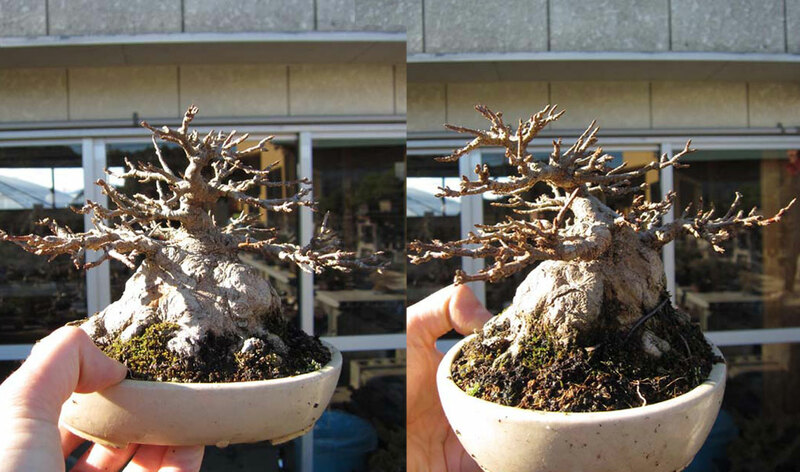 The base has great character but the rest of the tree is tall and directs the eye away from the nebari so I felt I could work on that to improve the tree overall. 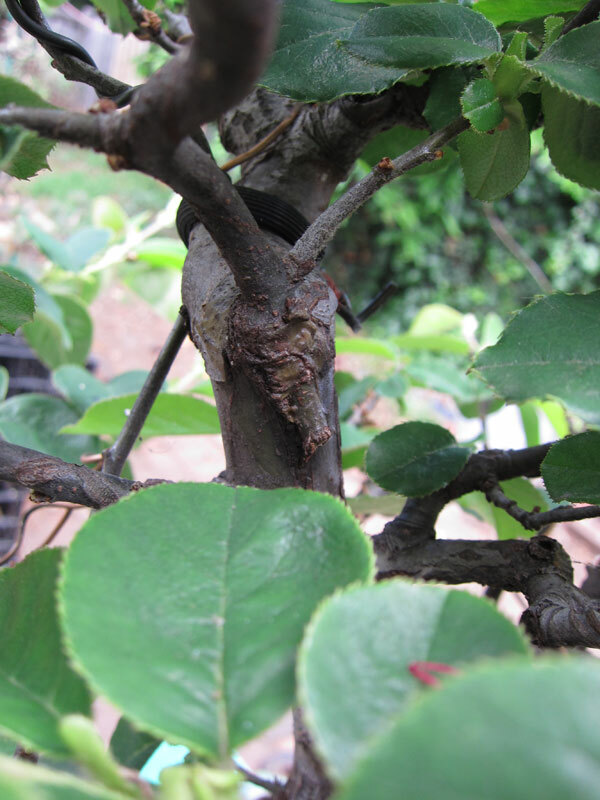 The other challenge with this trident is that it is a variety with large leaves and long internodes which makes it difficult to make a good canopy, especially on small trees. I have noticed that other tridents with this growth habit also develop nice bases easily. The down side is that their ramification is course and thick. How can you make use of the base and also have a good foliage canopy? The answer is to change the foliage. 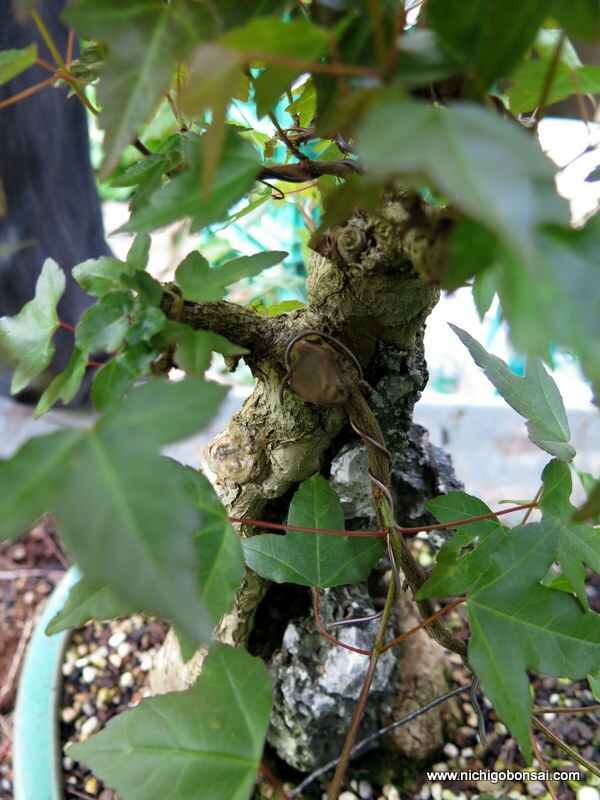 I decided to graft a finer foliage onto the lower section of the trunk so that I can make a shohin sized small tree with a huge powerful base and fine delicate branching. 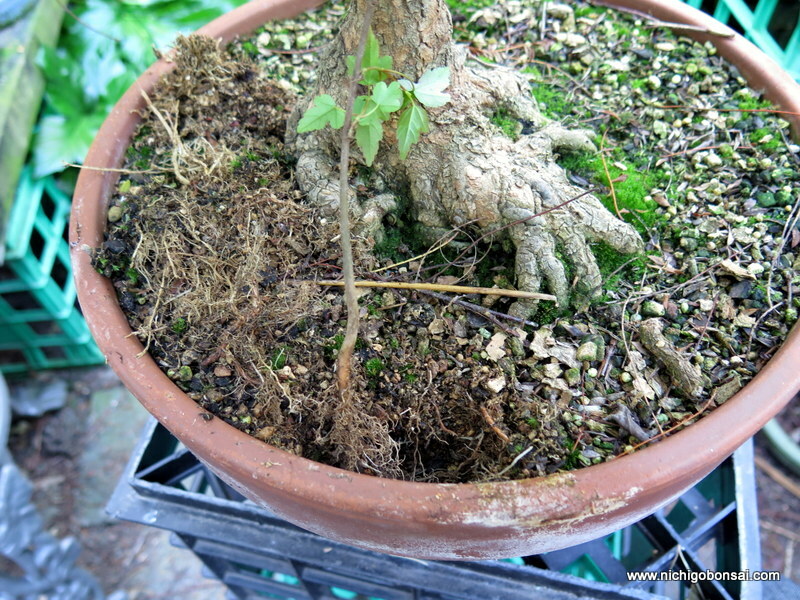 Seedling being planted in the same pot. I chose a seedling from a batch that showed good foliage characteristics. That is smaller internodes and compact growth. 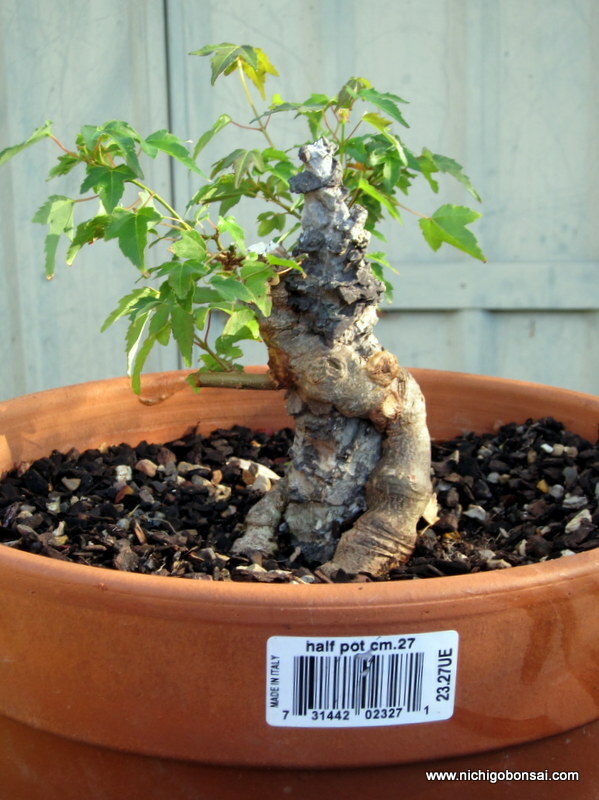 I planted the seedling into the same pot as the main tree for ease of watering and then grafted the young whip into the main trunk. 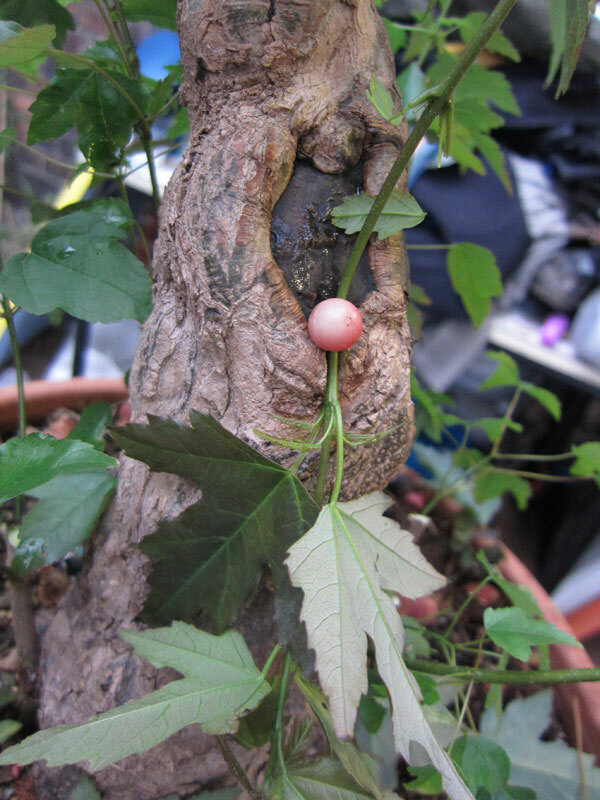 I actually grafted it twice into the trunk, once on each side. 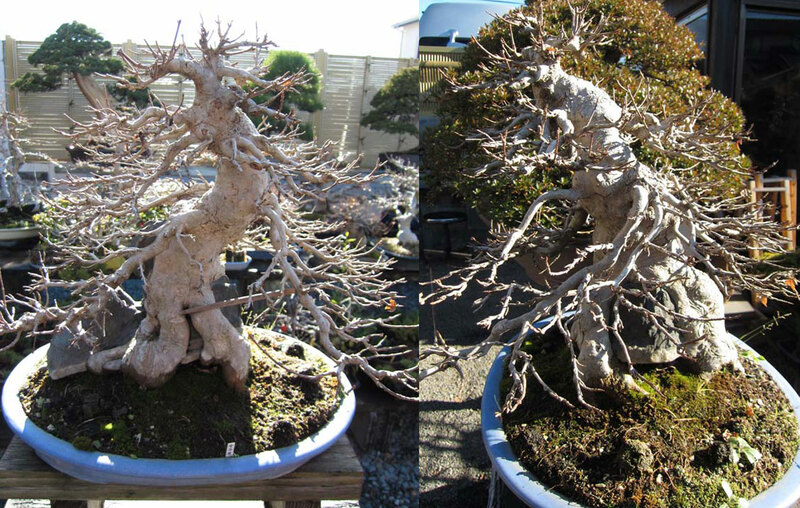 I bent the seedling into a ‘u’ shape and simple cut a channel in either side of the trunk for the seedling to fit into. One side will become the apex, the other will become the first branch. 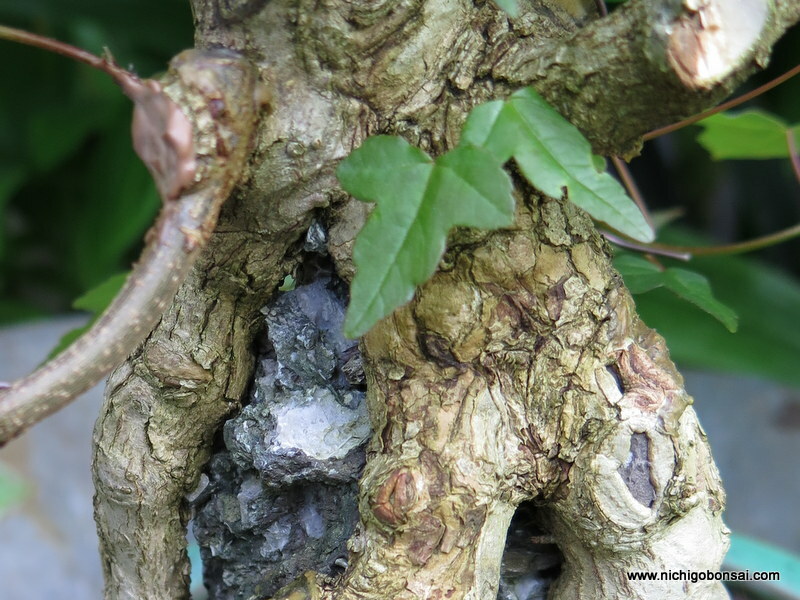 This way I will have the same foliage on the whole tree once I cut off the main trunk in a year or two. Even though i am changing the foliage I also wanted to keep the old foliage so i can experiment with it in regards to its base thickening properties. 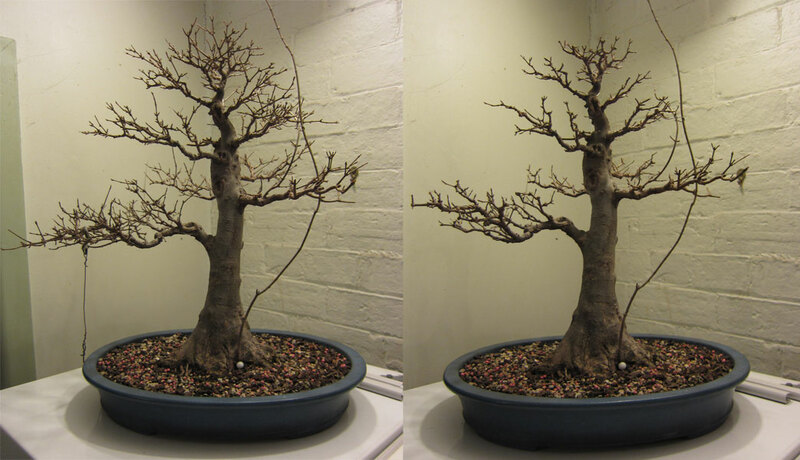 To save the foliage I decided to air layer off the top and the first branch. The cut made and scraped clean. I actually used some branch cutters to cut a small amount of wood from around the layer site to ensure I got all of the cambian layer. Sphagnum moss soaked in seaweed extract, all wrapped in strong plastic. 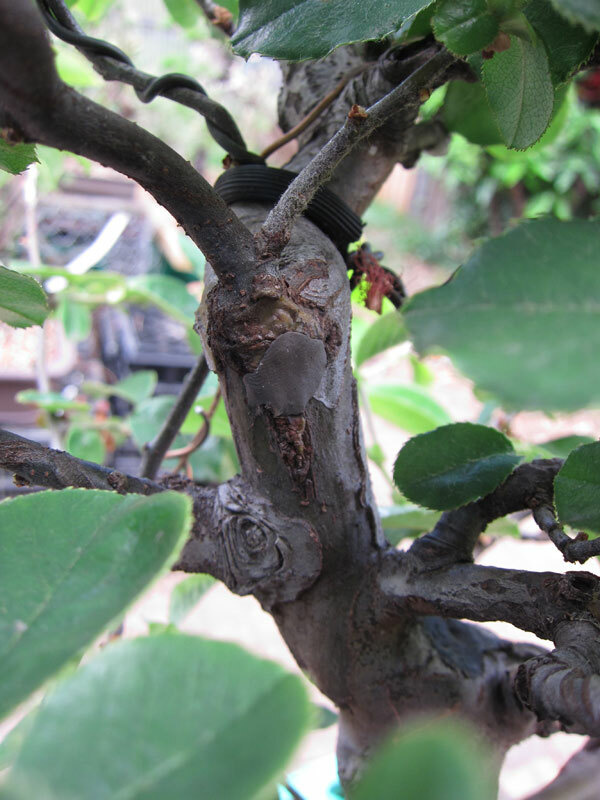 If these layers work, I will probably grow them in pots for a year or two before ground growing them to see if the base flaring/thickening is a genetic trait or just a result of how this tree was grown. I have noticed that there are tridents that grow good bases and poor ramification and then tridents that do the opposite. Has anyone else noticed this? 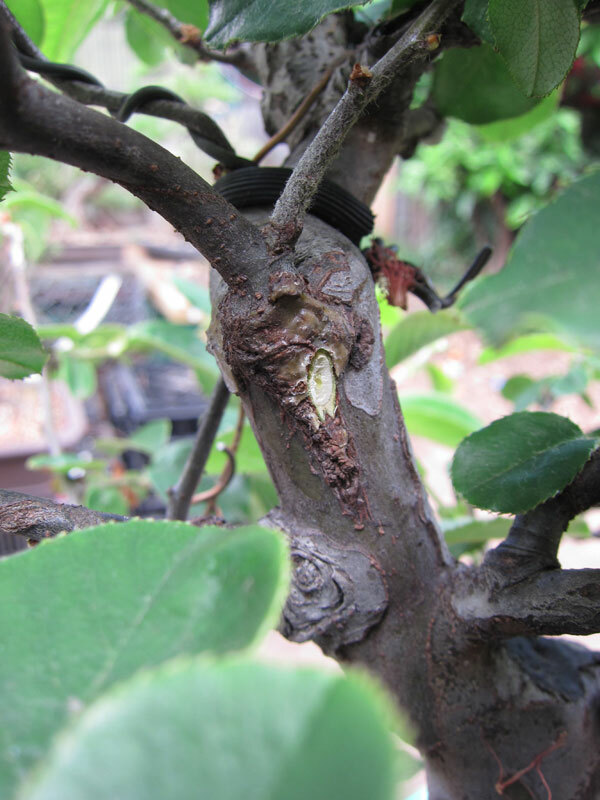 I am hoping that I can use cuttings from this tree to grow great bases then graft a good foliage variety on top to finish up the process. Time will tell if this works out or not. If this doesn’t work out I have another seed grown trident that shows similar properties. Fingers crossed. Every one needs a project or two in their collection. I really enjoy project trees, that is tree that are undergoing various processes to transform them into a new style, shape or form. The problem is that each year project trees undergo their transformation and then move into ramification/maintenance phases leaving me to find new projects. 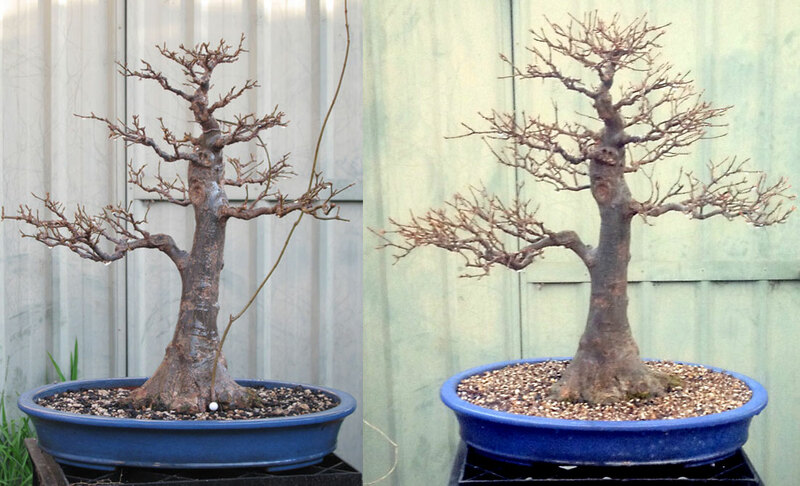 Trident maples are one of my favorite species to work on and I really enjoy having one as a project. I always have my eye out for something that has plenty of room for improvement. The tree below is one such tree. 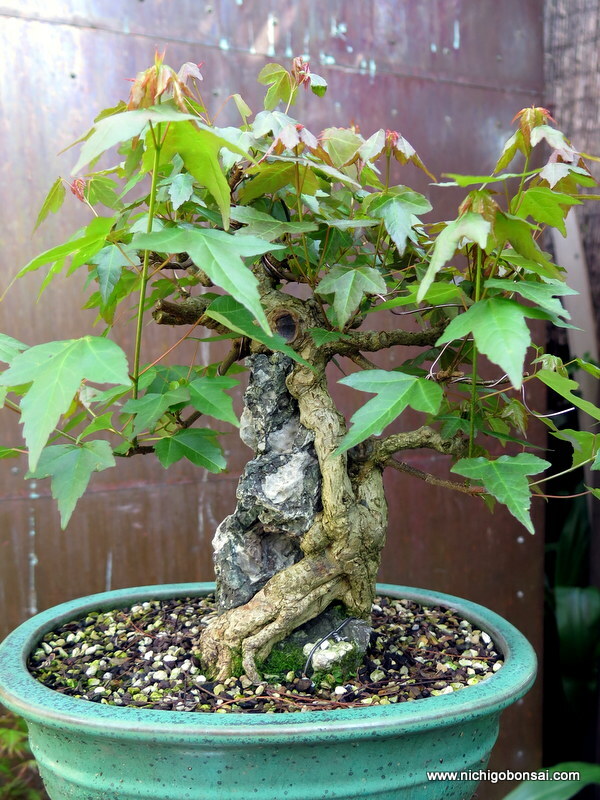 The tree was an imported trident maple. 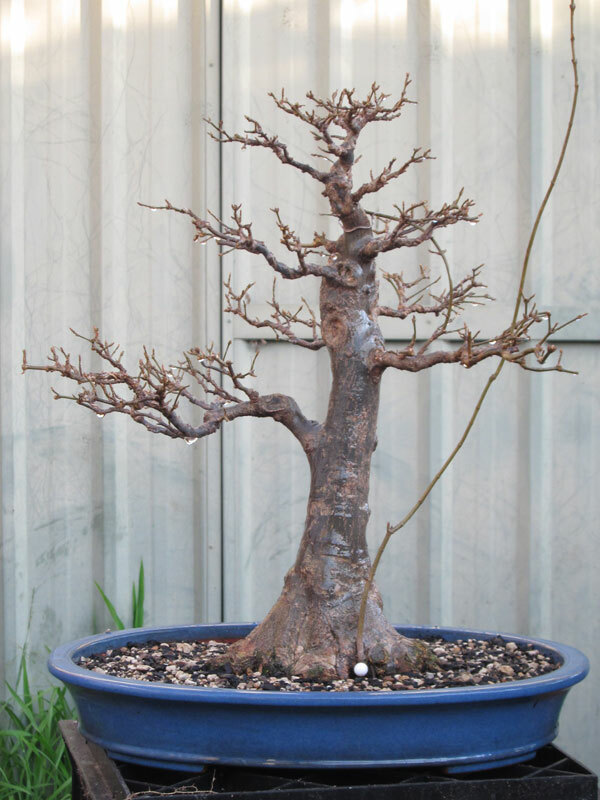 It had been brought into the country back in the 90’s when Australia’s border protection was much more flexible in regards to bringing bonsai in. When I got the tree it had been left to grow out for the last 2 years and as a result there was a fair amount of work required to bring it back to its former glory. The first thing I did was cut it back hard to stimulate some back budding. 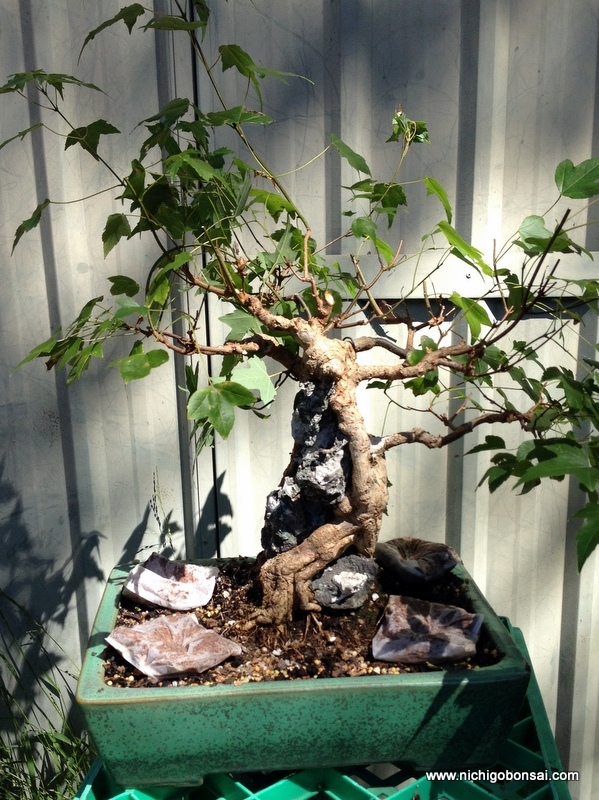 It’s branches were quite old so it didn’t bud out how I had hoped. 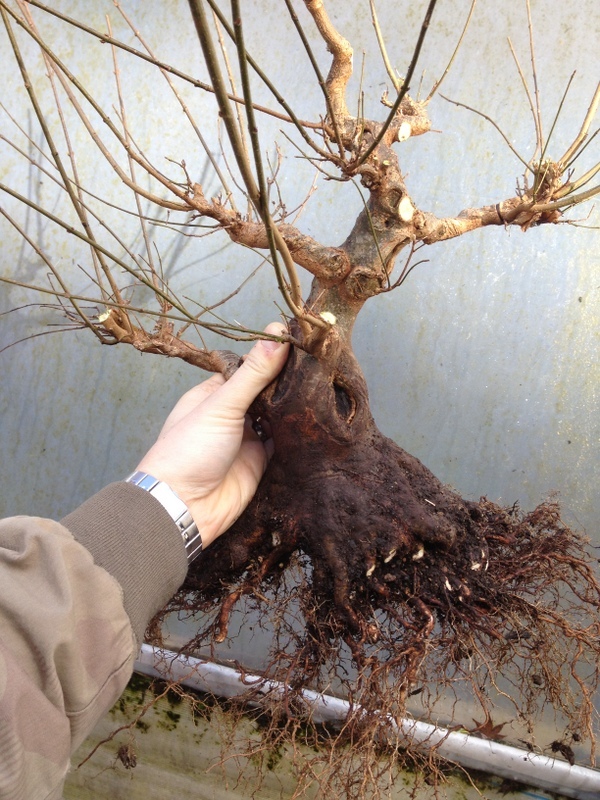 This lead me to go down the path of approach grafting rather than risk cutting off branches and not get any buds pop. 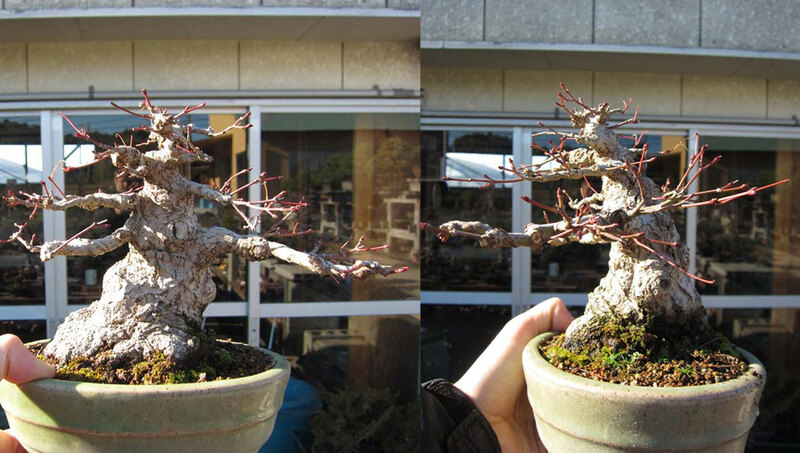 I decided to graft on a new set of branches at the base of all the old branches. 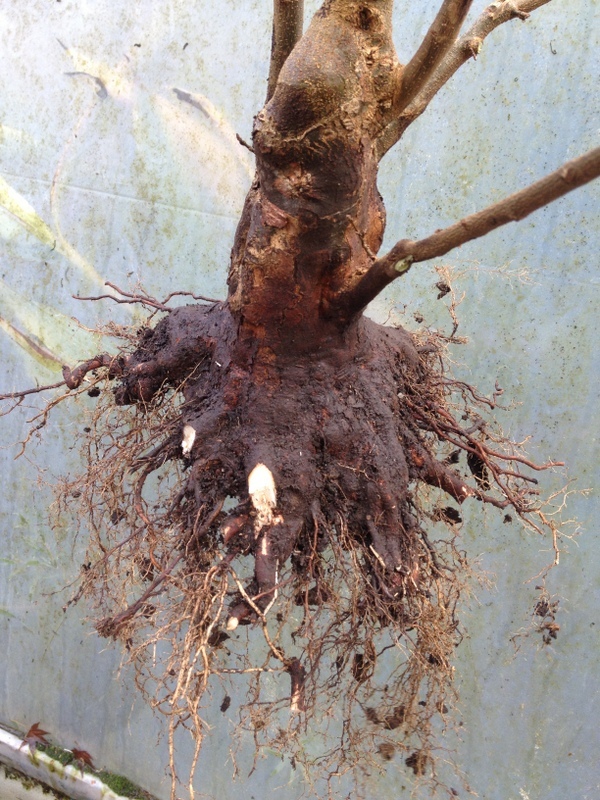 In total I grafted 5 branches and left the tree to grow. 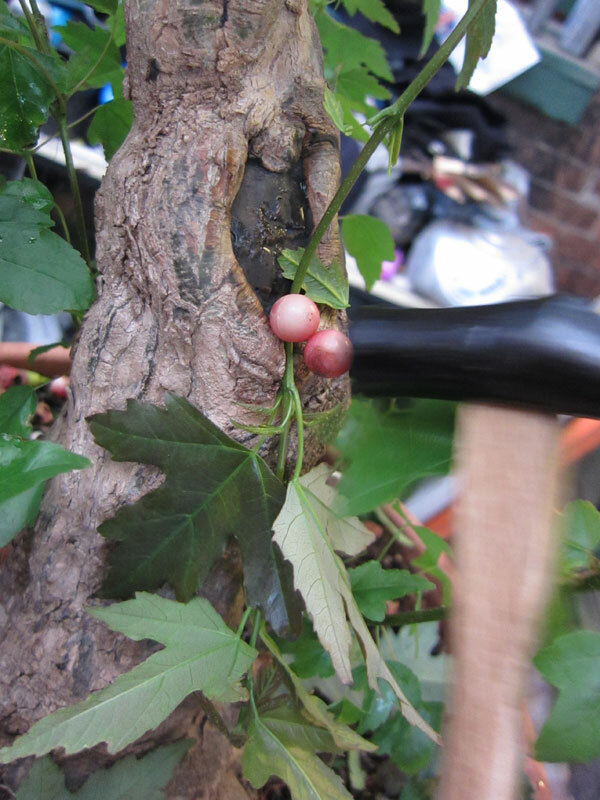 The grafted branches have taken. 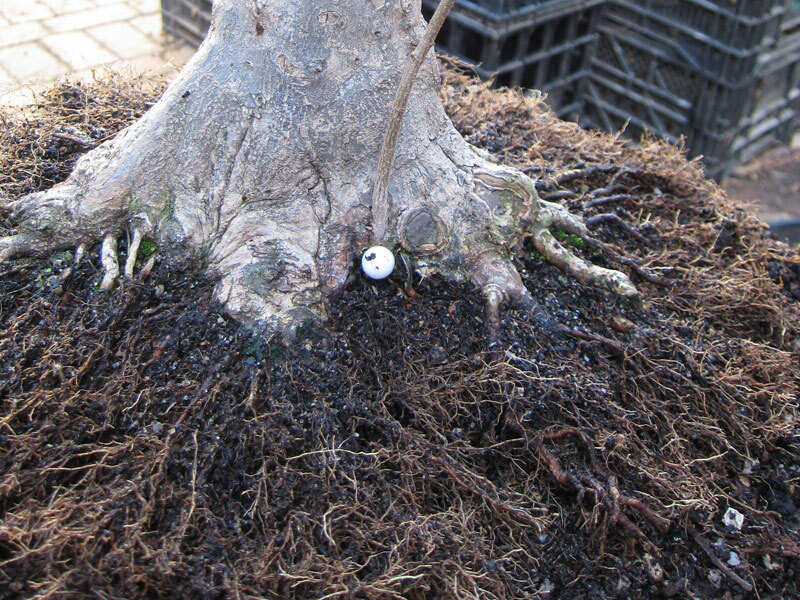 I also re-potted the tree and found a lump of old akadama in the center of the root ball. 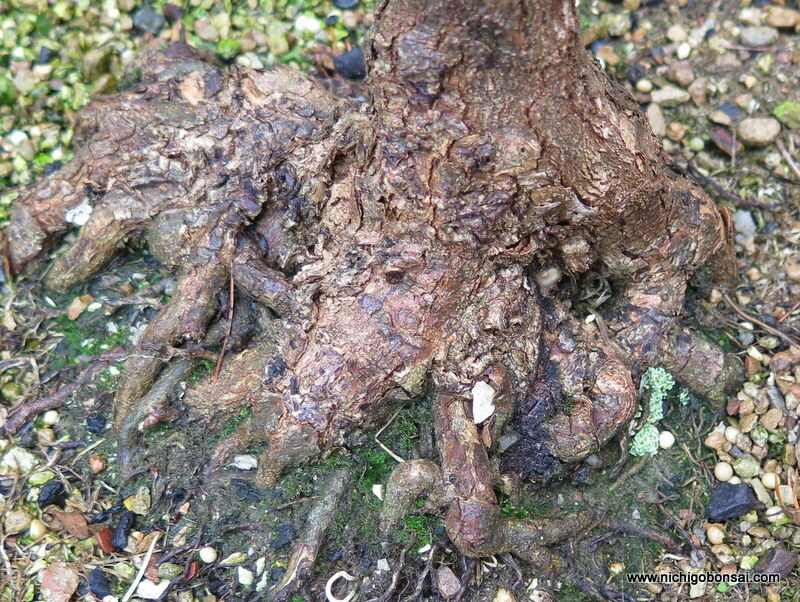 I bare rooted and picked all the old soil out of the root-ball. 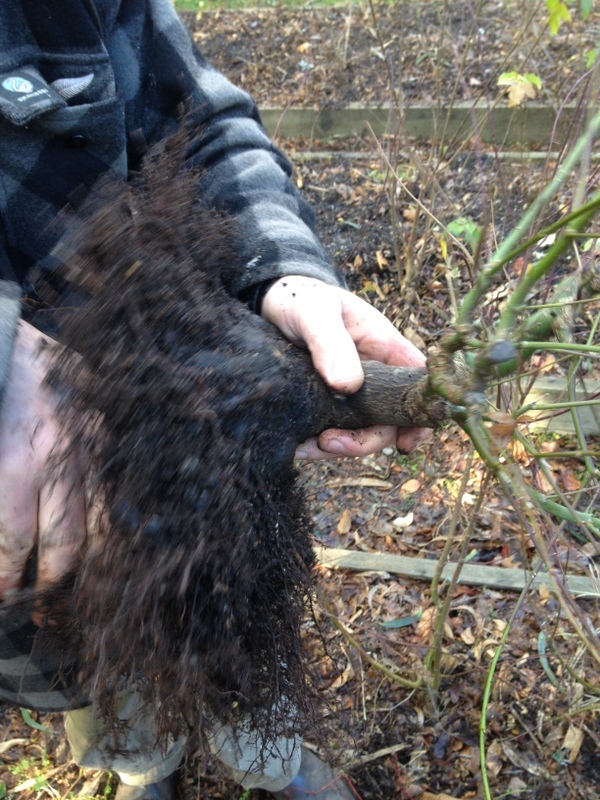 Almost immediately after the re-potting the vigour of the tree improved and I was rewarded with strong growth which helped the approach grafts to take. 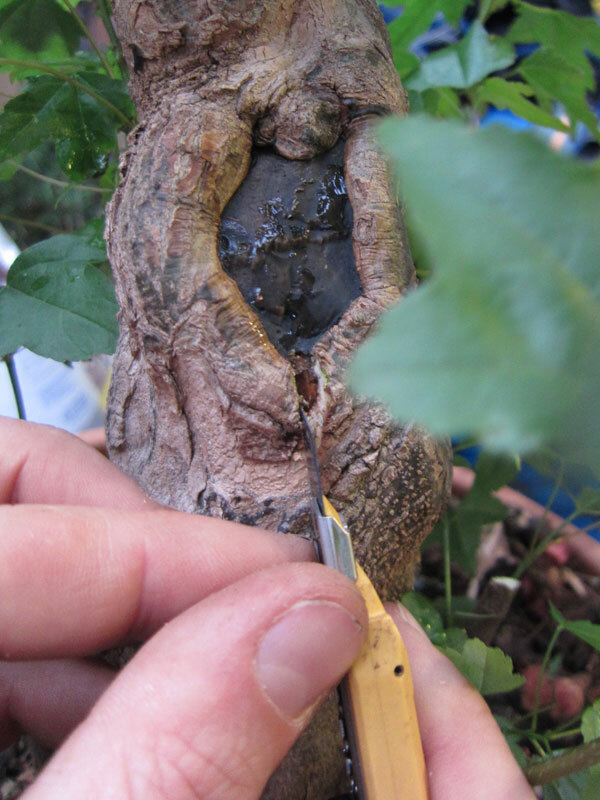 In the above image you can see the grafts emerging from the underside of each branch. 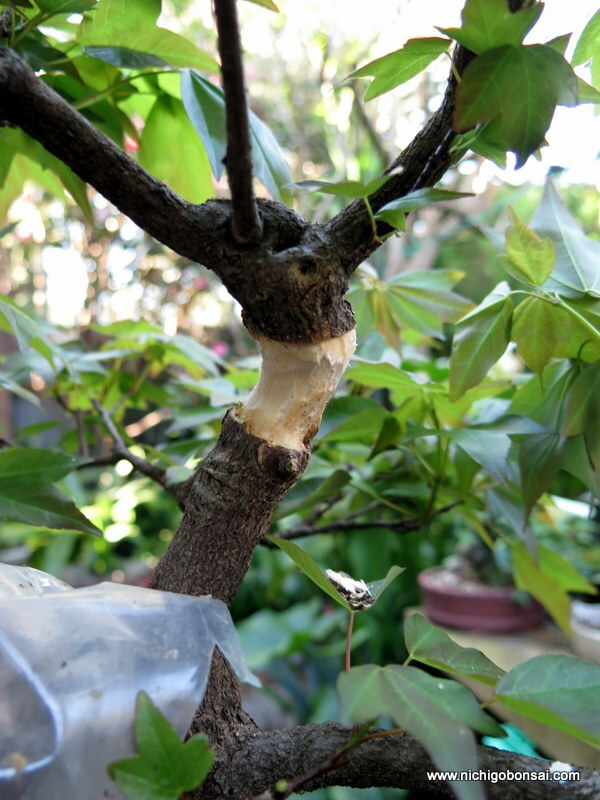 This spring I cut off all the large branches as the grafts were now strong enough to take over the sap flow. When I made the cuts I cleaned the wounds up with a knife and then applied cut paste which in my experience helps things heal. 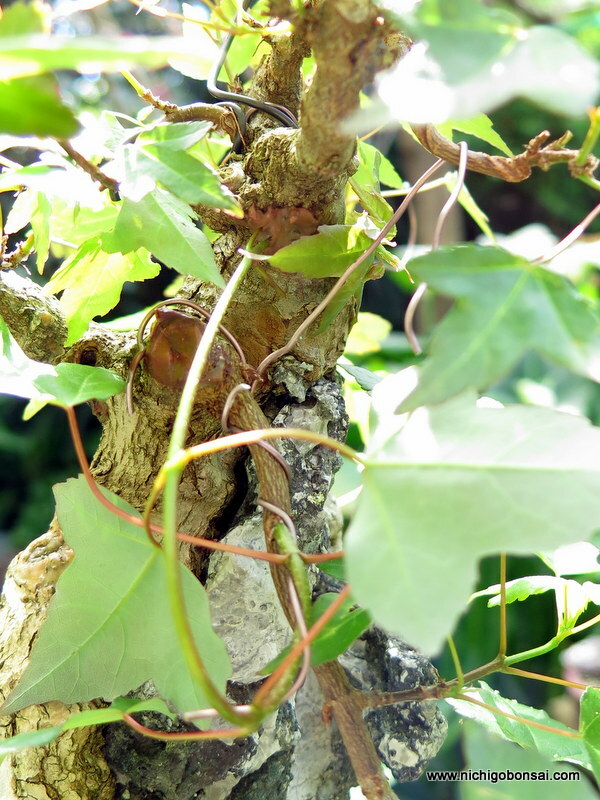 A wound and a grafted branch. 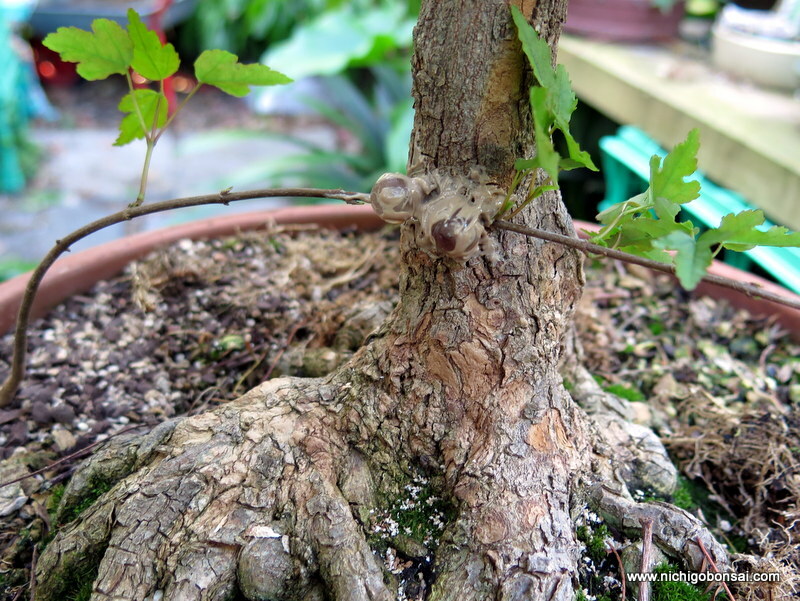 I have left the grafted shoots long and I will let them grow until I am sure that they are strong and well connected to the host trunk. 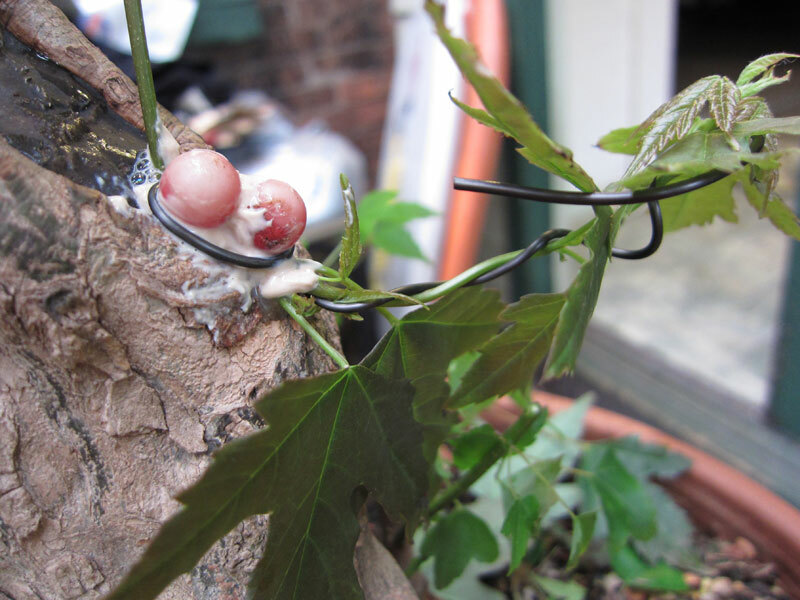 Once I am sure of that (probably in a month or so) I will cut them back to the first internode and then begin growing the branch structure. 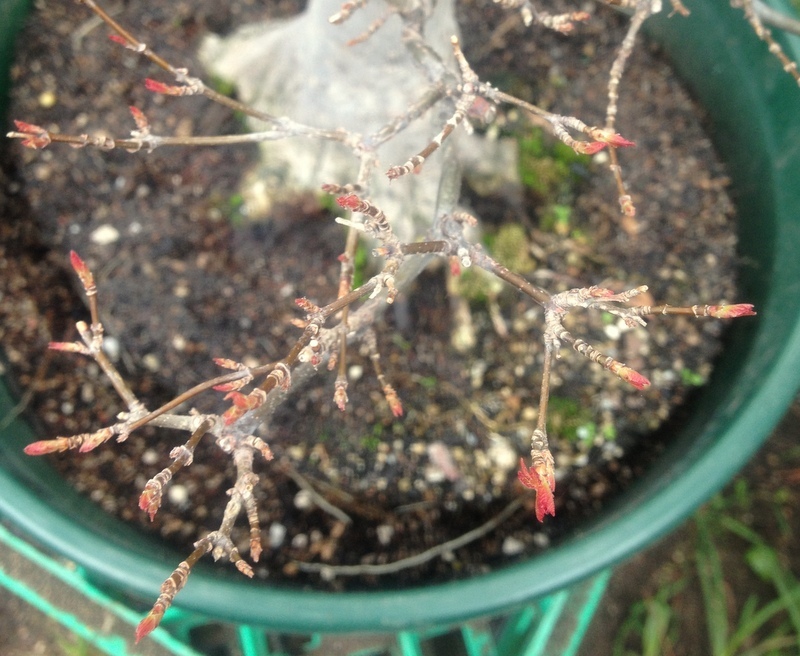 Unfortunately the back branch’s graft didn’t take but as luck would have it this spring a bud has popped right at the base of the branch right where I wanted it. Sometime trees do what you want. 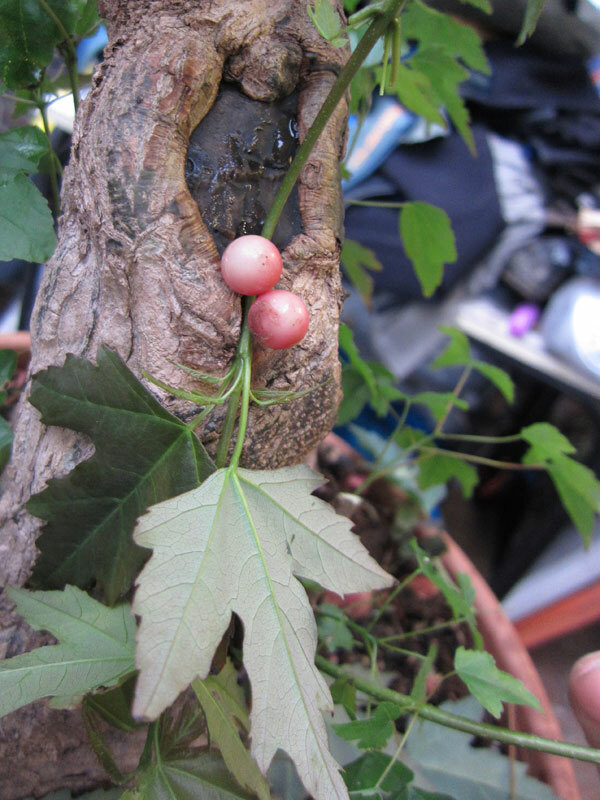 The two leaves are the new bud at the base of the back branch. 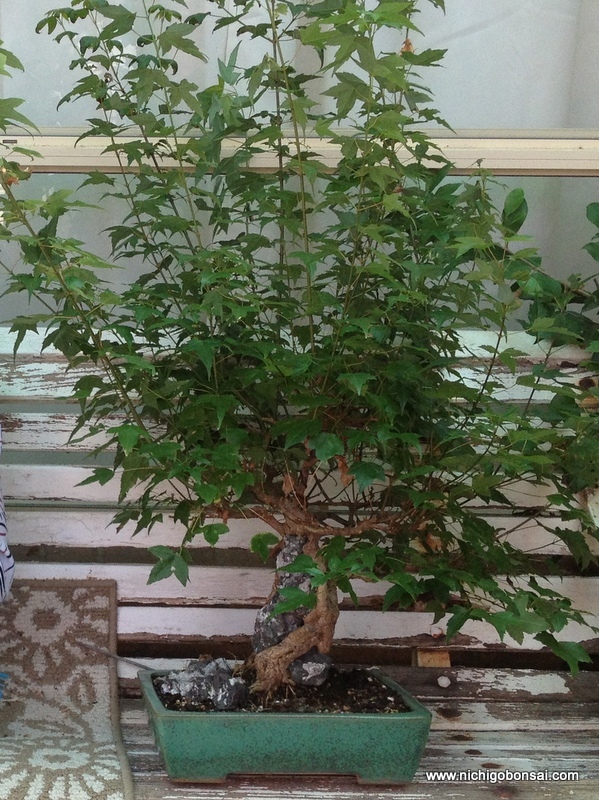 Once this shoot is strong enough I will also cut off the old thick back branch above. 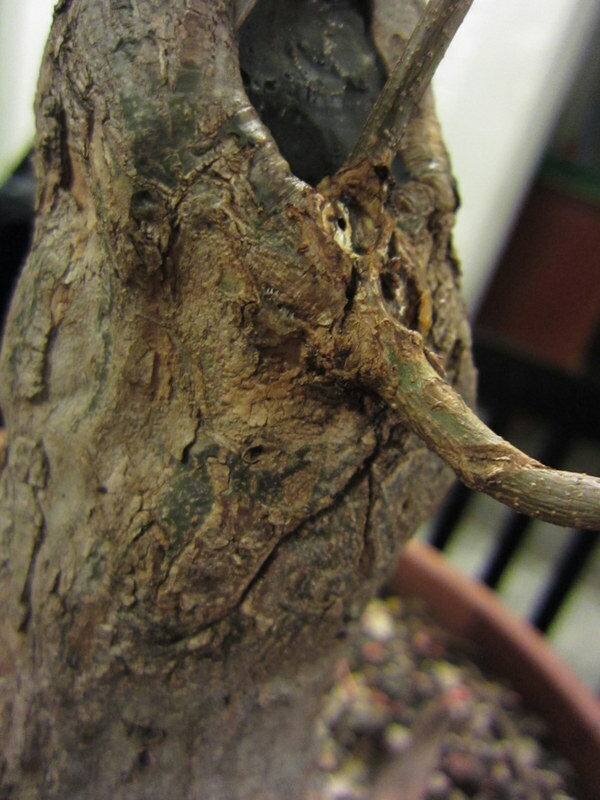 This spring I also placed the last graft I need, just below the apex. 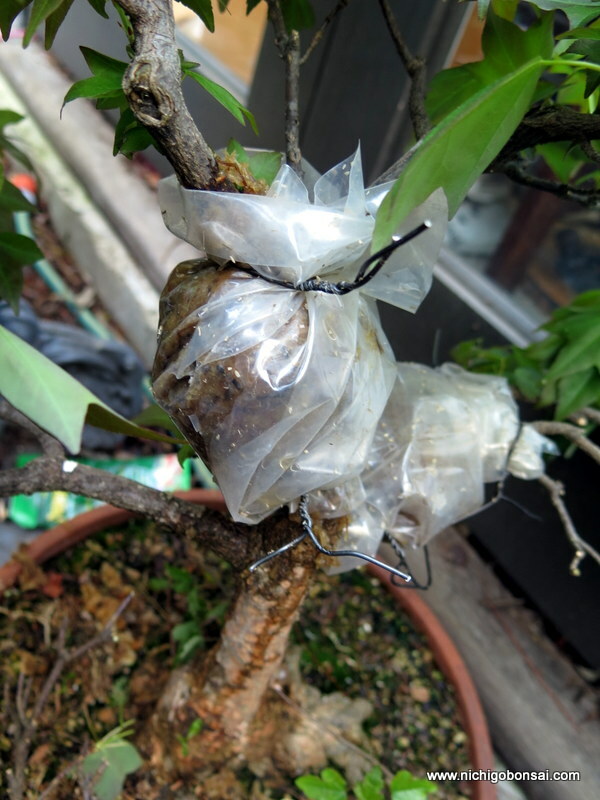 This should allow me to cut off the last heavy branch on the tree without having to chance whether or not I get a bud where I want. 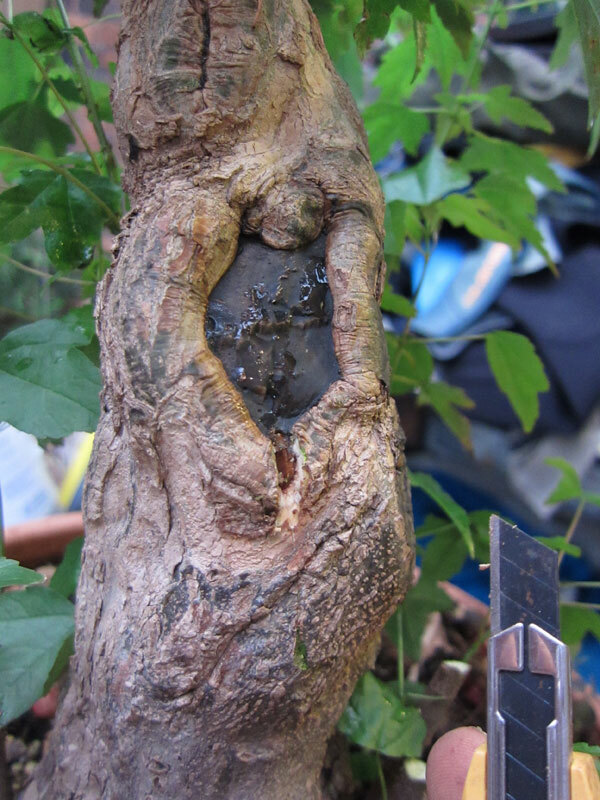 The shoot on the bottom left is bent up to under the apex where it has been approach grafted into the trunk. 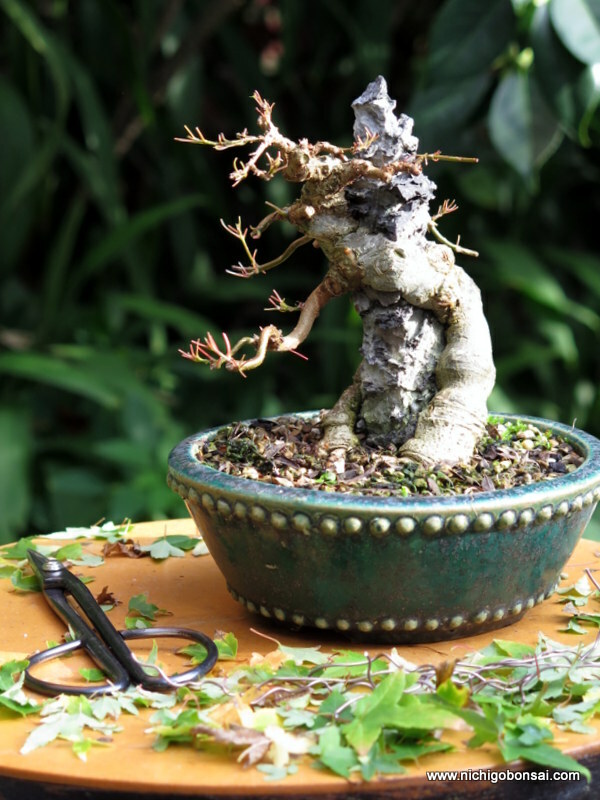 Its been fun replacing the branches on this tree and i am looking forward to this season of growth where i can start to grow the branch structure and form the outline of the bonsai. 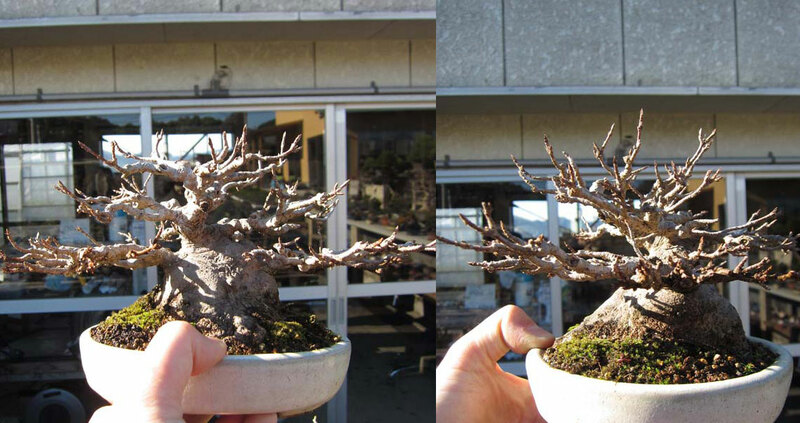 Hopefully in 5 more years this will be a highly ramified and ready to show bonsai. Time will tell.